ULTRA Worldwide celebrated the conclusion of its most prolific year to date on Saturday, October 15, as it wrapped up an incredible eight-stop tour of South America in the beautiful city of Rio de Janeiro. Totaling eight events across five countries in just nine days on this latest run, ULTRA Worldwide has now produced a phenomenal TWENTY-SIX events spanning SEVENTEEN countries and FIVE continents in 2016 – an achievement that no other festival brand or promoter comes close to rivaling. In total, over 1,000,000 people have attended ULTRA events this year, with more than 165 million tuning in to experience the action online, via UMF TV’s live streaming platform ULTRA Live. In addition to this, UMF Films’ Official Aftermovies have received more than 40 million unique views in 2016. ULTRA’s latest and final tour of 2016, which ran from October 7-15, saw it produce brand new standalone RESISTANCE™ shows in Paraguay (SOLD OUT), Peru (SOLD OUT) and Chile (SOLD OUT); return ‘Road To ULTRA’ events in Peru, Chile, Bolivia and Paraguay; and the full-scale debut edition of ULTRA Brasil in Rio de Janeiro which also SOLD OUT. Representing the jewel in the crown of the entire tour, Friday, October 14 and Saturday, October 15, saw the highly anticipated first edition of ULTRA Brasil in the stunning Cidade Maravilhosa – Rio de Janeiro. 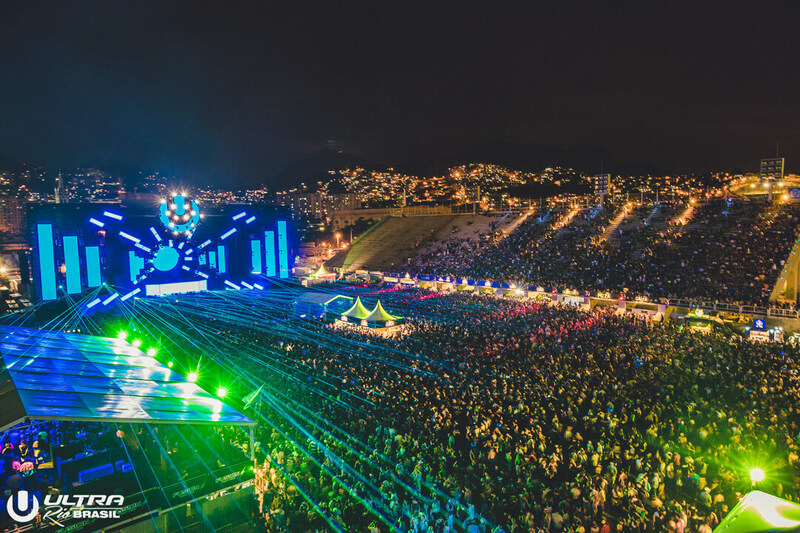 A completely SOLD OUT, two day festival taking over the imposing and iconic Sambódromo (most famously known as the home of Rio’s annual carnival), over 60,000 fans swarmed to the north of the city for what turned out to be one of the undisputed highlights of ULTRA’s 2016 calendar. Set to a magical backdrop of the Corcovado and Cristo Redentor, the enormous ULTRA Main Stage, which was graced by headliners including Above & Beyond, Dash Berlin, Hardwell, Krewella (Live), Martin Garrix, DJ Snake and Steve Aoki, provided the perfect centerpiece for the juggernaut event, complete with state of the art production, lighting and pyrotechnics. Offering an entirely different experience altogether, ULTRA’s burgeoning RESISTANCE™ concept was also in full force across both days of the festival. Tale of Us, Hot Since 82, Art Department, Matthias Tanzmann, Anna and more provided the entertainment on Day One, before the reigns were handed to the one and only Carl Cox, who welcomed Nic Fanciulli, Nicole Moudaber, Steve Lawler, Matador, Pan-Pot, Jon Rundell and more for another infamous Carl Cox & Friends gathering. In an exclusive partnership with MTV Latin America (and in a first for ULTRA Worldwide) ULTRA Brasil was broadcast live to over 50 million households in 26 countries across the continent. The two-day live stream was hosted on MTV’s digital platforms in Latin America and Brasil, in addition to the primetime specials that were also televised live from the Sambódromo across the weekend. A unique concept pioneered by ULTRA Worldwide in 2015, RESISTANCE™ has fast become known for producing its own unique experiences around the world. First witnessed at ULTRA Buenos Aires in February 2015, receiving rapturous responses from fans, artists and critics alike, the concept has since been rolled out at Ultra Music Festival Miami and other full-scale ULTRA festivals in South Africa, Croatia, Singapore, Bali, Japan, and of course, Brasil. From October 13-15, however, ULTRA took the concept one step further by producing a series of three standalone RESISTANCE™ events in Paraguay (Asunción), Peru (Lima) and Chile (Santiago). Welcoming more than 15,000 music lovers over three consecutive days, Carl Cox, Tale Of Us, Nicole Moudaber, Matador, James Zabiela, Steve Lawler and many others provided the entertainment to a discerning South American crowd hungry for cutting edge dance music and unparalleled production values. 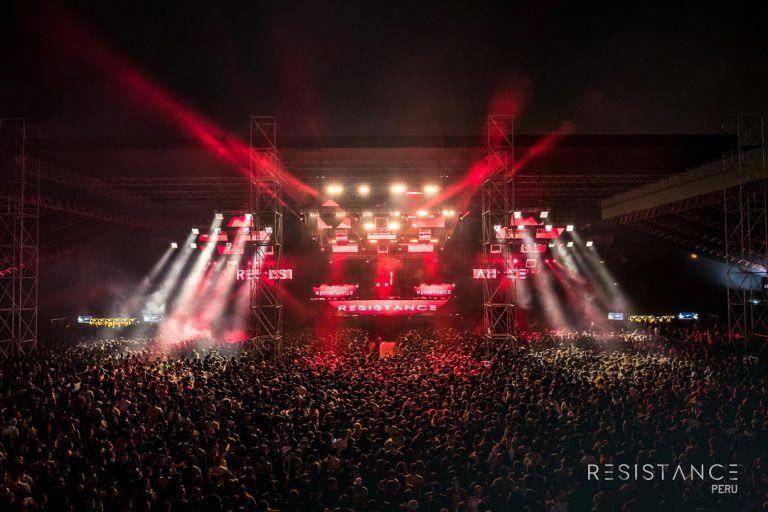 With huge future plans in store for RESISTANCE™, this historic three-day tour represents just the tip of the iceberg for the flourishing brand. 2016 has seen the ULTRA and ULTRA WORLDWIDE™ brands continue to push the boundaries even further, bringing an unparalleled combination of cutting edge productions and the world’s best electronic acts back to previous strongholds and new frontiers across the globe. With the SOLD OUT edition of ULTRA Brasil® Rio de Janeiro on October 14-15, ULTRA Singapore™ having become a full scale two-day festival on September 10-11, RESISTANCE’s standalone South America Tour and ROAD TO ULTRA®’s Hong Kong debut, the ULTRA brand has now united TWENTY COUNTRIES across FIVE CONTINENTS worldwide. In 2016 alone ULTRA WORLDWIDE™ produced TWENTY-SIX events spanning SEVENTEEN countries and FIVE continents.